The best way to learn spoon carving is face-to-face with one of the best Spoon carvers in the world. 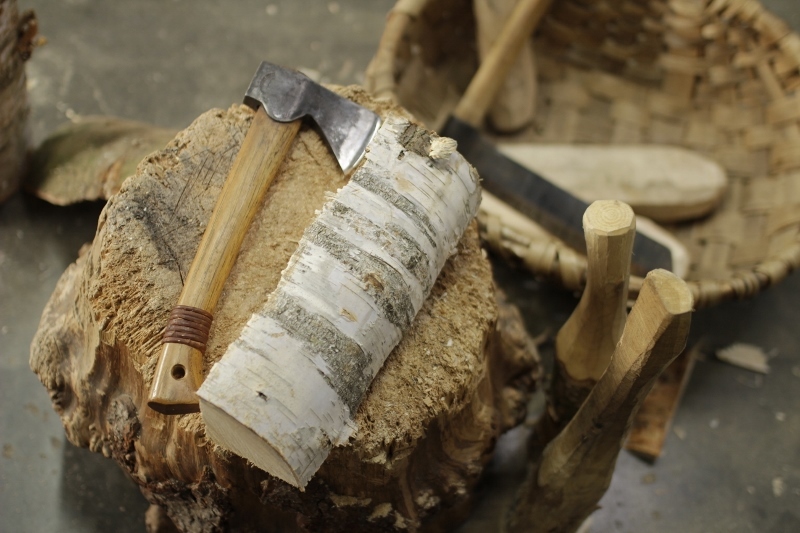 The book shares some of my thinking on trees and wood culture, with a basic "how to" section showing the techniques i use and a load of information about the beautiful tools of the trade. This is followed by 4 chapters covering 16 styles of spoons going into more detail about how to make them and why they are designed that way all supported with glorious photos including 3 profile shots of each spoon to help you make them. This book should prove interesting and useful to anyone who loves trees and wood, cooking and spoons, or the art of Spoon Carving itself! JOIN SPOON CLUB & LEARN from home! ✔ Take your first steps and expand your knowledge from home. ✔ Learn and develop at your own pace, and from anywhere in the world. ✔ Designed to accompany my book, forming the perfect guide on your spoon journey! Join us on Monday. Tuesday or Thursday nights on Stepney City Farm for Spoon Club.